Dale McGlothlin is the author of the nonfiction book on leadership, Great Big Small Things, and the nonfiction Young Adult fiction series, The Children of Necropolis. He is also the managing director of SeaChange Global, a public relations firm with a decade of experience in the spray polyurethane foam (SPF) insulation industry. Mr. McGlothlin works with NCFI. NCFI, headquartered in Mt. Airy, NC, since 1964, manufactures polyurethane foam chemical systems for spray foam-in-place insulation (SPF), geotechnical, agricultural, roofing, marine floatation, packaging, specialty molding, and many other uses. He can be reached at dalemcglothlin@ec.rr.com. The world’s largest penguin playground opened recently at the Detroit Zoo. 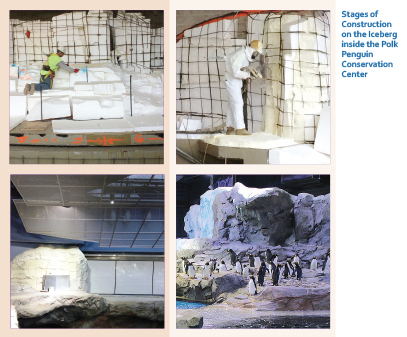 More than 80 penguins of 4 varieties—King, Gentoo, Macaroni, and Rockhopper—are housed there and will stay comfortably cold year round thanks to local Michigan insulation companies and the use of fiber glass, elastomeric, and spray foam insulation. The zoo’s new 33,000 square foot, $30 million Polk Penguin Conservation Center opened April 18, 2016, with a blue carpet walk by the feathered stars of the show as they made their way from the old Penguinerium to their new home. The aquatic birds, who can can spend 80% of their lives in the water, are in for a treat as the new facility includes a tank that holds 326,000 gallons of water (10 times more than their old home) and allows for deep diving up to 25 feet. The Detroit Zoo web page describes the exhibit as “inspired by Sir Ernest Shackleton’s legendary Antarctic expedition and epic crossing of the Drake Passage. 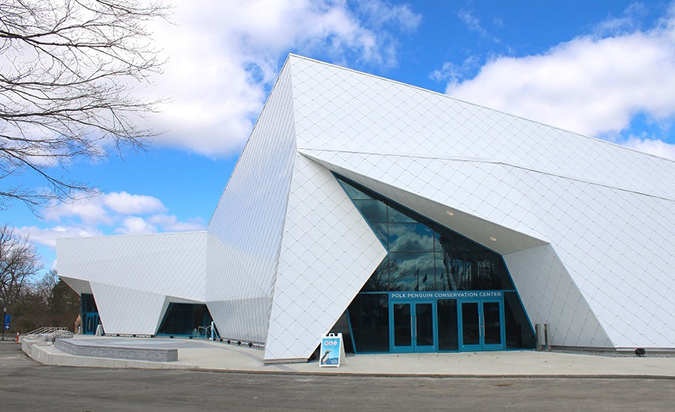 The penguin center evokes the harsh and visceral ice world of the southern continent, recreated in a 360-degree 4-D entry experience that includes blasts of polar air and sea mist. A video and sound feature called projection mapping depicts a phenomenon known as iceberg calving—one of nature’s most dramatic spectacles where icebergs split and send massive cascades of ice crashing into the sea.” Visitors can also make their way through 2 transparent tunnels that run through the water environs, enabling an up-close look at the penguins. While temps may hover around 70 degrees for visitors winding their way through the 4-dimensional simulation of Shackleton’s ill-fated expedition in Antarctica’s iceberg littered waters, the penguins on the other side of the glass wall must stay a near-freezing 37 degrees at all times. The Polk Penguin Conservation Center took 4 years to plan and build. The designers and zoo staff went to great lengths—and distances as the team visited penguins in their natural environment in Antarctica—to create the most advanced aquatic bird habitat in the world for the Detroit penguins, and the people who visit them.